Hi everyone! 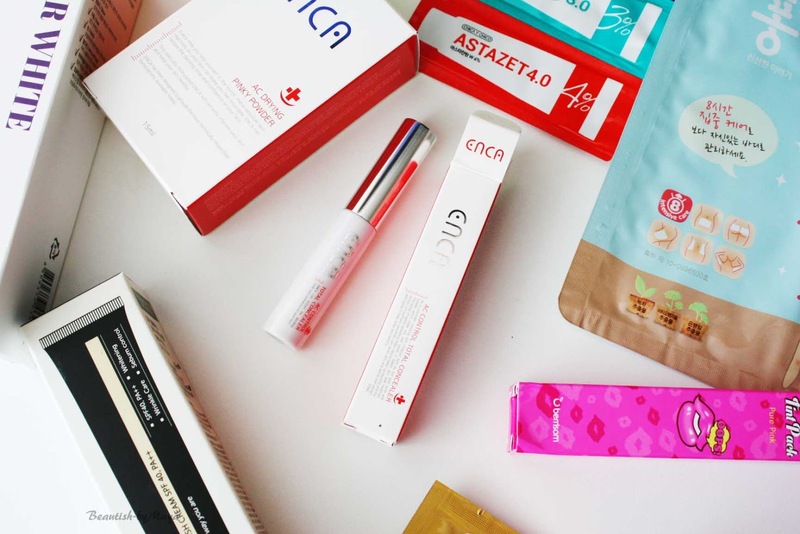 Today I will review the Enca AC Control Total concealer (19$) from Wishtrend, which was part of my latest wishtrend haul! The Enca concealer caught my eye a while ago so I was very happy to see it in the wishbox No.34. My skin is very sensitive, if I use concealers on pimples or marks they mostly get worse - inflamed and/or irritated. The Enca AC Control concealer seemed worth a try as the line is specially formulated for acne prone skin. "Enca Acne Control Total Concealer for acne prone skin conceals acne pimples without causing irritation or clogging pores. Let your skin breath, reduce redness and make the skin look bright and clear. Naturally derived and hypoallergenic ingredients allow your skin to relax so acne pimples can breathe and be calmed. Reduce redness and swelling in the pimples as well as keeping the skin from peeling and flaking." Sounds great right? 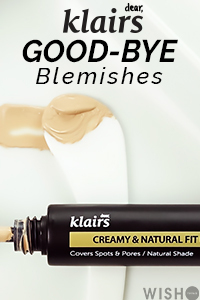 Looking at the ingredient list you can see that the concealer contains some natural extracts: Rosemary, perilla leaf, chamomile and jojoba oil. Running it thought CosDNA some red flags pop up, talc scores 1 and Simmondsia Chinensis Seed Oil 2 for acne. I like that they included Arbutin, a great ingredient for whitening. I'm a little bit concerned about the talc, although it scores only 1 out of 5 for acne I know that powders containing talc can cause breakouts on my skin. The packaging is small, only 3.5 ml, less than most concealers out there. It has a sponge top applicator which is very practical, just swipe the brush onto the troubled area and pat it with your finger or a brush. The concealer comes in one shade, yellow grey toned and slightly to light for my skin. The texture is very thick, and dries fast after blending. Compared to other regular concealers it takes longer to pat it evenly onto skin. The coverage is good, I would say medium depending on the amount of product. Overall I like the medium coverage of this concealer and staying power. It does a good job at concealing marks and pimples, texture is thick but is not difficult to blend. Unfortunately, only one color is available which is slightly too light for me, but still okay to use. The product is a little bit pricey 19.99$ for 3,5 ml, but the formula is very thick that a little bit goes a long way. Despite the talc in the formula it doesn't break me out or make my skin worse. I must admit I haven't noticed any major healing of pimples and marks etc. Still, the product is great for acne sensitive skin, with its matte velvet finish, especially for oily skin. This is definitely a specialized concealer for acne prone skin with decent coverage which is hard to find! You can buy the Enca AC Control concealer from Wishtrend for $19.99 USD. Only one color? That´s a shame.